Most hi-fi systems on sale worldwide are so heavily marked up that the majority of customers are being scandalously ripped off. That’s what AVI hi-fi chief Ashley James said in an interview conducted with Tech.co.uk last Friday at the Bristol Sound & Vision Show . He also said that companies are selling inferior products for extortionate prices, and that the magazine industry is supplying unhelpful and inaccurate reviews which allow the hi-fi manufacturers to get away with it. “I’m not going to mention the name of a company which sells an AV processor for several thousand quid. You boys with computers will know perfectly well that if you want Dolby 5.1 you can get a PC card for £7.50 with the same chipset in it,” he said. James said that this practice is rife in the industry, and that the rip-off hardware includes many types of loudspeaker as well as CD players, amplifiers, tuners and power supplies. 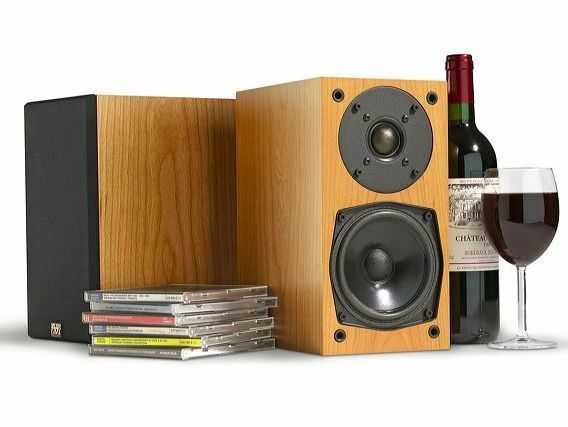 “So for £3,000 you’ve got a pretty mediocre system and I think it would be difficult to argue that they were in anyway superior to a [much cheaper] system you might buy from Richer Sounds – Cambridge Audio or something like that. James said that the failure of the major hi-fi magazines to point out these massive price discrepancies is leading to buyers being severely ripped off. “The fact of the matter is that loudspeakers can be sold in sufficiently large quantities to certain shops, for the discounts to be up to 80 per cent. Now I’ve never seen a review in a magazine which says [that the retail price] isn’t very good value for money. And yet I bet the manufacturers are still making a profit out of the £1,000 pair of speakers they sold discounted for £200. James said later in the interview that some of the top-end hi-fi equipment that is sold for many thousands of pounds is worth nowhere near that amount, and isn’t great quality in the first place. According to James, hi-fi magazines in the UK and US, with one or two exceptions, have had every opportunity to change the tide; intelligent readers have written in and pointed out the “obscene” quality-to-price ratios. But instead of taking heed, the magazines have apparently only responded by inviting replies from the “lunatic fringe” manufacturers in order to stir up controversy. And that’s as far as it goes, which means the hi-fi companies can continue charging whatever they like, unchecked. “I just think that [listening to music and buying hi-fi gear] is an intelligent pursuit. And I think at the moment large numbers of people are being denied hi-fi by shops that are reluctant to accept that [these intelligent people] exist, and by magazines that haven’t even considered that they might exist,” James said. Ashley James got his first job in the audio industry in the 1950s. He later became an instrument engineer, a watch and clock maker and a restorer of automobile engines. He eventually receiving formal training and becoming a manager before settling at AVI.